HOME PAGE - Vancouver Birthday Magic featuring The Great Gordini. Making memories is what it's all about. 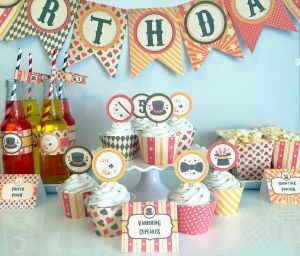 You want your childs birthday party to be special, something they'll remember and their friends will be talking about. 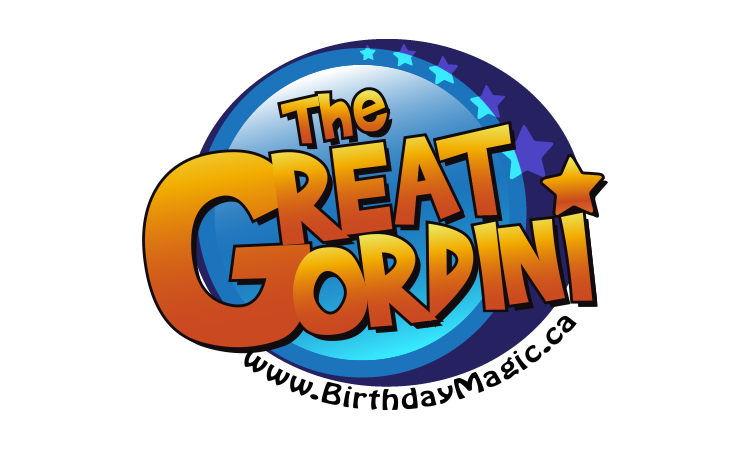 Invite The Great Gordini to supply wacky and fun entertainment with his magic that will leave the kids talking for months. Sometimes accompanied by Dudley, the lovable but mischievous puppy puppet, but always accompanied by good clean fun. The packages and pricing on this page are for In-Home parties only. If you are planning a party at a different venue, please contact me. 30 minutes of magic for an unlimited number of people. 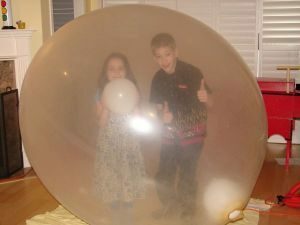 Add-on balloon twisting for just $30 for up to 15 children. An additional fee of $2 per child over that count will apply. 45 minutes of magic for an unlimited number of people. The Birthday Child receives a packaged magic wand and a "Magic & Activity" booklet published by The Great Gordini. 60 minutes of magic for an unlimited number of people. 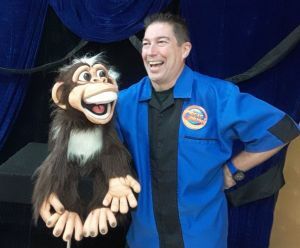 Includes Otto, the Skunky Munky puppet with his humour and magic. Includes the giant balloon, a six foot balloon the birthday child is given the opportunity to get inside. Please note that I do not recommend this package for children under the age of 7 (they tend to be afraid of it and I hate to end the show on a negative note). Not only will they have a ton of fun, but after the lesson they'll be armed with the knowledge and equipment to amaze others. Each student gets to keep the equipment they use in the lesson. Price is for up to 8 students, an additional fee of $20 per student over that count will apply. BALLOON TWISTING - every guest receives a balloon creation for just an additional $30 for up to 15 children and $2 per child over that count. THE GIANT BALLOON - This one will have the Birthday Child and their friends talking for years when the birthday child is given the opportunity to climb inside a giant balloon. 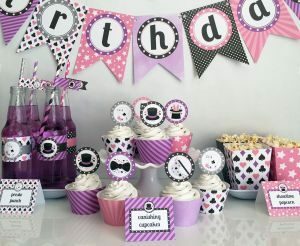 Make your child's birthday unforgettable for an additional $75. While inside the giant balloon, the Birthday Child is in the best photo opportunity of the party !! Is a sound system with microphones required? 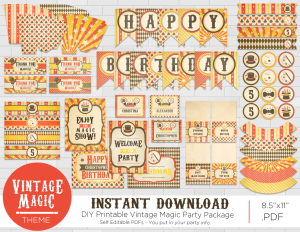 WHEN YOU BOOK ANY OF MY BIRTHDAY PACKAGES, I PROVIDE YOU WITH PRINTABLE MAGIC THEMED DECORATIONS!